Volvo CE has unveiled its first zero-emissions electric compact excavator and wheel loader at Bauma in Munich, Germany. The machines are the first to be shown from a new electric range of Volvo compact excavators and wheel loaders. 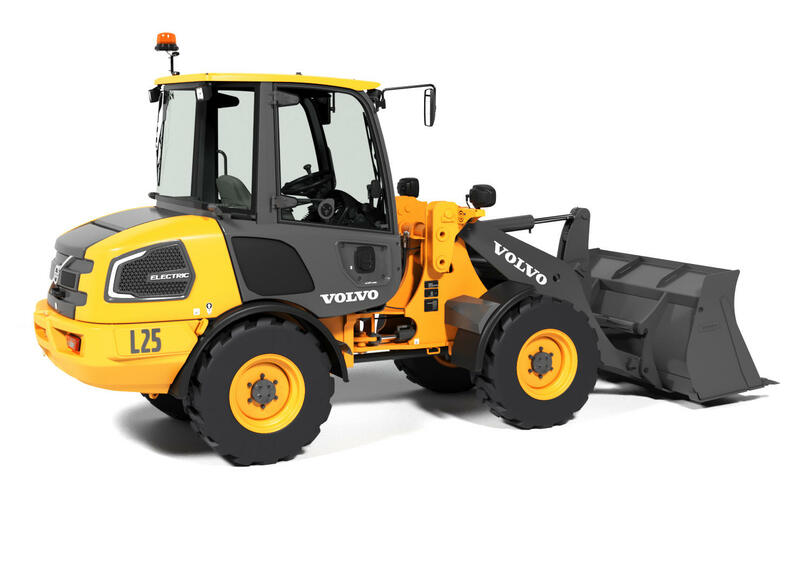 Volvo will launch its range of electric compact excavators (EC15 to EC27) and wheel loaders (L20 to L28) in 2020, stopping new diesel engine-based development of these models. To make the ECR25 and L25 electric, the combustion engines have been replaced with lithium-ion batteries. The ECR25 also has one electric motor which powers the hydraulics, and keeps the machine charged for eight hours. The L25 also allows for eight hours of operation in the machine’s regular applications, and incorporates two dedicated electric motors (one for drivetrain and one hydraulics). Both machines have onboard chargers that plug in via regular plug socket. A number of machines will be used and tested by customer’s in pilot projects before production begins in mid-2020.